At least 20 Russian litigants have bought cases to the High Court over the past three years. Why this sudden fondness for the English legal system? 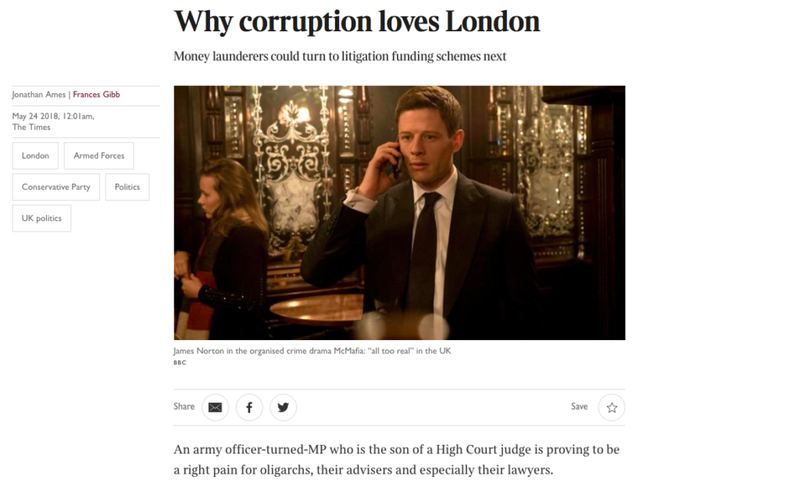 Speaking exclusively to The Times, our chief executive Marius Nasta reveals money laundering schemes are being enabled through collusive litigation. The article follows the publication of a report by the Commons foreign affairs committee, headed up by chairman Tom Tugendhat, Conservative MP for Tonbridge and Malling. The report, Moscow’s Gold: Russian Corruption in the UK, calls for the government to take action against these schemes, described by another legal professional as ‘eye-watering’ in its scale. The UK has some of the most robust money laundering legislation in place, and we urge the government to use it to its full advantage. To learn more about this story visit The Times website.